I made a hollowed-out book for my nephew for Christmas. 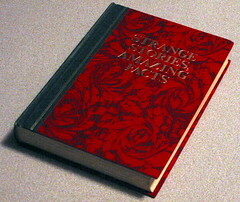 I used a book called "Strange Stories, Amazing Facts" that I found at Goodwill. It has a magnetic catch to keep it from flopping opened.